10 to 15 - Size Main Electric Retracts Key Features Robust landing gear strut and mounting bracket Integrated electric motor with a micro PCB Built-in overcurrent protection Overview You don’t have to be a master modeler to add the realism of functioning retracts to your airplane. 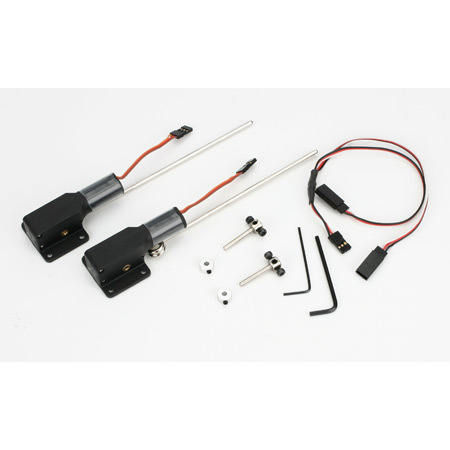 E-flite’s completely self-contained retract system requires no air tank, complex linkages or extra servo. It can simply be bolted into place and plugged into the receiver. A specially designed Y-harness is included that allows for the use of a single receiver channel to control all retract units.